If I were diagnosed with a terminal cancer and told that I had less than a year to live with no hope of traditional medical treatment to improve my prognosis, I would focus my efforts toward exploring research-based alternative treatment options. There is a plethora of information available in print as well as online that details research regarding various cancers and recommended traditional treatments, as well as statistics on success rates for those treatments. 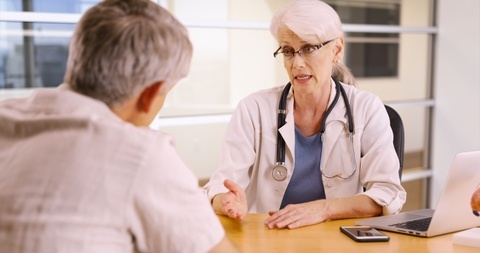 In addition, there is information pertaining to alternative cancer treatments and the role of the professionals specializing in and administering those treatments. Also, common knowledge tells us that nutrition has become an integral and important element in cancer treatment. Educating myself about foods, vitamins, minerals and herbs which help promote the body’s own healing from within would add to my arsenal of defense in fighting this killer disease. Another aspect of my research would include speaking with and listening to other researchers, doctors and patients who have experienced cancer. Firsthand knowledge and support would be vital to this process. I would look to my faith, family, friends and community for emotional support. It would be important for me to surround myself by others who share my journey. There are support groups available in many communities for individuals living with cancer that meet on a regular basis. The internet also provides several online forums for patients with cancer who want to share their story and hear other’s experiences. There is certainly strength in numbers and sometimes our best ideas and most inspiring moments result from our dialogue with other people. My own personal preference for treatment would involve a holistic approach to wellness. Naturopathic medicine appeals to me because this approach is based on the principal that the human body has an innate healing ability and utilizes a non-evasive, approach to treatment. This practice blends science, traditional and naturopathic medicine which includes herbs, roots, vitamins, minerals and foods which have been proven to fight disease. This holistic approach also uses ancient Chinese therapy such as acupuncture, massage and various other types of body work to balance the mind, body and spirit. There is a strong emphasis on exercise as a way to manage chronic illness and promote healing. Research supports the positive effects exercise has on the physical, psychological and emotional well being of cancer patients. Research and education are critical in making informed decisions regarding any non—traditional cancer treatment. Upon feeling comfortable that I had gathered enough information to move forward, I would focus my energy on finding the right doctor(s) to help me put together a regimen of care. There are many holistic practitioners in the United States and abroad who specialize in a comprehensive approach to treating illness and disease, and information is readily available for anyone considering Naturopathic medicine. However, knowledge, clinicians and external support can only take you so far when you are facing a possible death sentence from a debilitating incurable disease. It is also important to your recovery to believe in your own power to generate healing. Where does this power come from? This is a question for the individual to ask him or herself. It may come from a belief in a higher power or it may come from an individual’s own determination and desire for wellness. Regardless of where it comes from faith is essential in the battle against a deadly cancer and brings to my mind a favorite quote from the movie “Shawshank Redemption”: “you can get busy living or get busy dying.” What a powerful statement. I recalled that quote reading the inspiring story of James “Rhio” O’Connor who was given a diagnosis of Mesothelioma, www.survivingmesothelioma.com, and given a year to live. He did not accept this prognosis. He got busy living by doing his research, talking to others, and believing both in himself and something greater than himself. Mr. O’Connor, as a result of his hard work, determination, beliefs, and persistence was able to live more than six years beyond his prognosis. 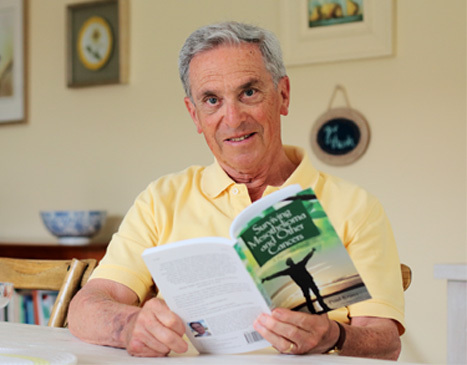 Equally inspiring Mr. O’Connor also wrote a book “They Said Months, I chose Years: A Mesothelioma Survivor’s Story.” in which he shared his journey and the knowledge he gathered along that journey. His works offer hope, education, and support to anyone facing a diagnosis of cancer. In difficult times coming together with people who can support us and relate to us can be immensely therapeutic and rewarding. If I were to be in the same situation in life as Mr. O’Connor it would be important to me to connect with, help and support others. In fact, It is my personal core belief that it is through giving to others that we receive our greatest blessings. I would utilize technology to share my knowledge and my story in order to offer optimism and hope to others. I would involve myself in a support group in my community or perhaps start my own. Regardless of the method, it is through personal connection with others that my focus and drive to find wellness will remain strong.